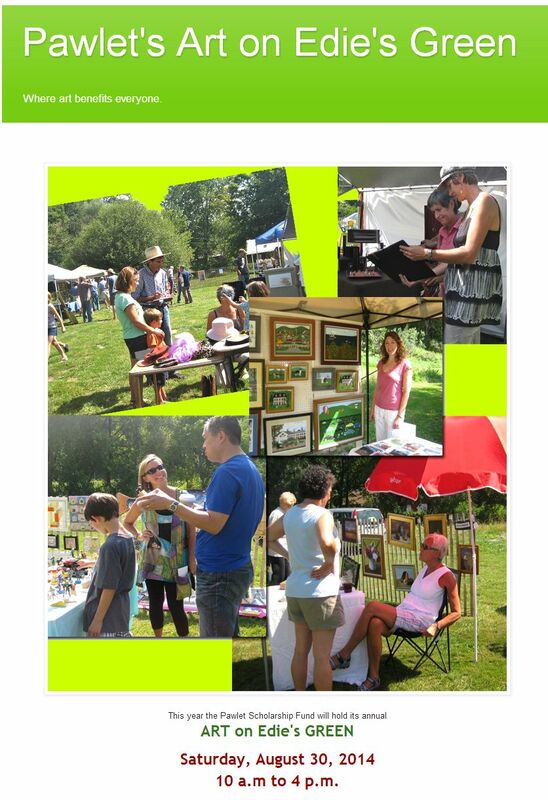 Labor Day Saturday, I will be showing art at Pawlet’s Art on the Green. some of my more recent art, but also work from artists all around the region. There’s painters, sculptors, potters and craftsmen. from Pawlet and West Pawlet in furthering their education. and meet the artists You can also buy lunch!